My SLIPPERS FOR LAURA by Melissa Knits are finished. This is my favorite slipper pattern. I have nearly worn my others out. 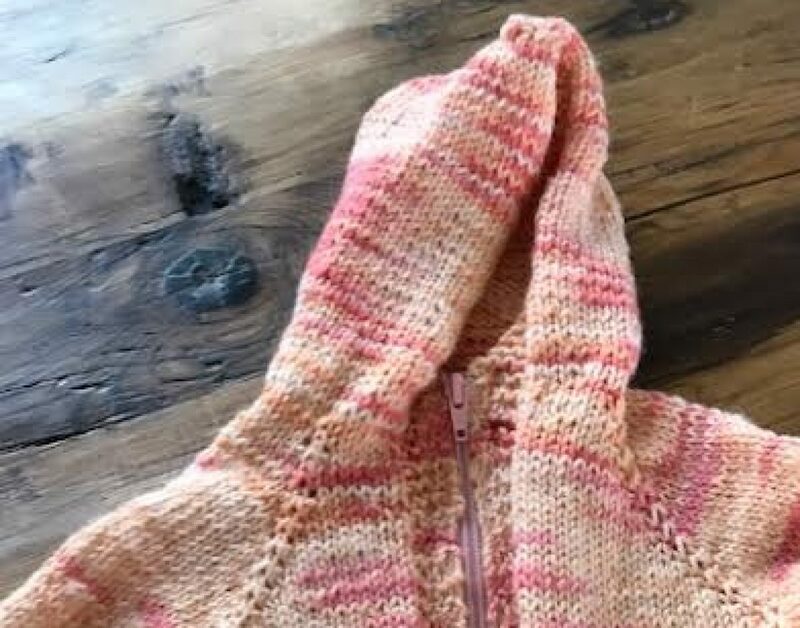 This simple pattern is created on straight needles. I used some Lornas Laces Sport Weight. My other pair is made from Cascade 220 and I wonder if these will hold up as well. Time will tell! In other knit news, I have started a hooded baby sweater for a good friend’s first baby . It is a girl baby , due in June. I’m using the same Lorna’s Laces yarn that I used for the slippers to knit the sweater . Im using Knitting Pure and Simple’s Easy Baby Cardigan pattern. 75% have a special item created for them by someone who has passed on. Only 25% of us know a heart transplant donor or recipeint. Al says that heart transplants are not nearly as numerous and kidney or pancreas transplants. 80% of us would have trouble not knitting or crocheting for a month. 72% of us love a good nap. and 69% of us love a pet as much as we love a person. I saw a commercial for GOLD BOND Crack relief and I am thrilled someone made this product. We get painful little cracks around our nails in the winter. Have you tried this ? We nearly had a deer join us for dinner the other night. We have not seen deer in our woods for months. We have seen hoof prints, however. This deer was alone. The next morning we had another smaller deer in the yard. Fireman thinks they are having a tough time finding food in the ice and snow. Today a whole family of deer were walking around our woods and yard. Our cats watch them with fascination through the windows . I have to tell you that we were invited for a lovely dinner at a friends home last night. Their driveway was a sheet of ice. I LITERALLY got on my hand and knees and crawled to their front door. It was the only way I could be a hundred percent certain I wouldn’t fall. I bet the neighbors had a good laugh watching me! We were caught in Mpls during a November ice storm a few years back. Sidewalks were suicidally icy, so I walked on the grass. But when having to cross a street — no grass, sob! — I took off my shoes and socks and walked barefoot. My tootsies got really cold, but they warmed up a LOT faster than a broken bone would have healed. Glad you didn’t fall. I hope you’re healing well. I need to feed those deer! I have to be so careful today. I don’t want to fall again! Thanks! The slippers are fun to make. Isn’t that deer bold? Lovely slippers. I’ve taken so many bad falls from walking on ice even though I assured myself I would be extra specially careful. I give you all kinds of credit for going and having the sense to protect yourself know matter what the neighbors think. The slippers look great! And I am sure the baby sweater will as well. Pretty yarn! The deer are hungry, for sure, poor things. We call them the big mice, because years ago our best hunting cat would track them from window to window, tail twitching, ready to pounce. Good for you crawling to the house! Surprised they didn’t sand or salt, knowing company was coming! The slippers look lovely and cosy. How wonderful seeing deer up close like that. I now have an image in my head of you on all fours crawling up a driveway, better than ending up flat on your back though. Ice terrifies me, and I’ll do anything to avoid it – even crawling. The slippers look comfy. You’ll have fun knitting the baby sweater. I think you were smart to crawl! A friend is in the hospital with 5 cracked ribs and a collapsed lung from slipping on his father’s walk. Very scary stuff. Poor guy is in a lot of pain. I just love your slippers. I’ll have to try that pattern at some point. I would have crawled too – I’m notorious for falling on ice! Thanks….I now have another pattern added to my library. Love those slippers. How sweet to wake up and see fauna outside your home. All we see here are our neighbor’s cats lol. I remember those days of living in frozen tundra country. I too have crawled on ice to keep from visiting an emergency room. While I don’t mind the snow, I DO mind ice. Our upper drive was awful after this last storm. The slippers look great. Did you find a nonslip bottom for them? I would be curious as to what you’ve used. That is the only reason I don’t make slippers for myself. I’m afraid of falling. Which brings me to your crawling on the ice. I have done the same thing. Anything is better than falling. And who cares if the neighbors laughed! The deer are beautiful. We are having moose, mountain lion and elk sightings within a few miles of our house because of all of the cold and snow. I think they’re hungry. I am currently working with three kids under the age of 4 that have had heart transplants, and one who has had heart reconstruction. They are amazing little ones moving on with life no matter what. Hope you have a wonderful Saturday. Glad you were smart to crawl up to the door, falling on ice is no fun! Our neighbor has a big covered trough that he puts deer food so we are rarely without them cutting through our woods to get to it. That’s all fine and dandy in the winter but when they stop to snack on my hostas…grrrr. Great finish on the slippers-you will sure need them this winter! Now that is quite an image of you crawling to the front door! Previous Previous post: Let’s try the survey again! Sorry.